Hey guys! I am so excited to share these blue light glasses with you because THEY WORK! I have a job where I work from home about 75% of the time from my laptop and then when I'm done with that I'm also on my phone working on blog posts/editing pics - all this time has led to lots of migraines and lots of sleep loss from staring at a screen. All these headaches were coming at the same time as I had starting hearing about blue light blocking glasses and I knew I wanted to give it a try. Scrolling through insta and looking online, I found an article about Pixel Eyewear that was recently featured in Vogue ( you can find the article here, https://www.vogue.com/article/computer-blue-light-eye-strain ) and read all the benefits of the glasses and how it could improve sleep, eye strain, etc... and I'm so happy I did! Since getting my glasses, I have had minimal headaches and also been getting to sleep better. I ordered the THERA glasses in clear and they are super cute, comfy, and great quality. 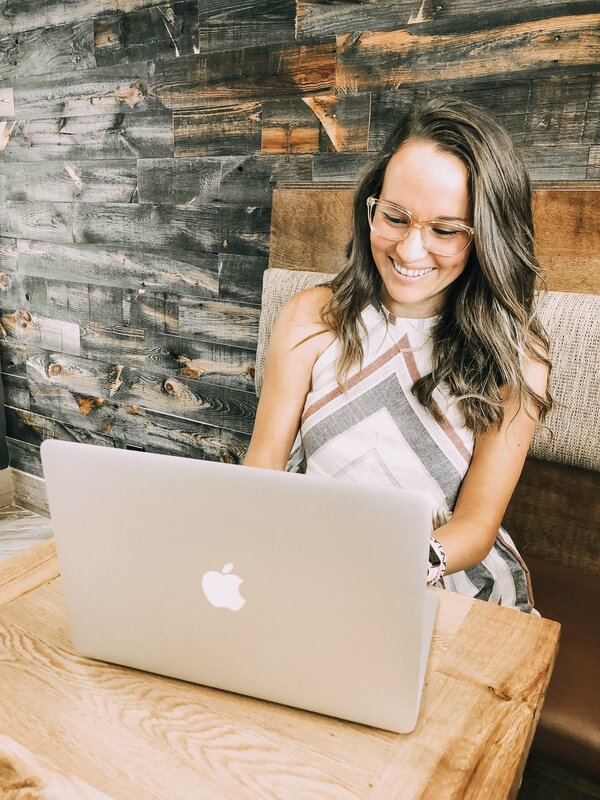 Perfect for working, editing, netflix binging, or even this post writing :) each pair of glasses comes in a box and a fabric sleeve so they're easy to tote around in your bag or throw in with your laptop. If you're looking to get a pair, please use code DOWLING for a discount at check out and I'm sure you will like them just as much as I do! Check out www.pixeleyewear.com and find the look that's perfect for you. I would love to hear about your experience with blue light blocking glasses, or how you like them if you purchase!